With Moringa Madness coming to a close, it’s time for a recap of how the Battle of the Greens has played out so far. By our records, moringa is an undefeated nutritional champion! First, there is a Battle of the Greens (hello, March Madness) and then moringa dominates it. Yup, it’s true. Compared to any other vegetable, and in particular all the green ones, moringa brings more to the table every-single-time. Here are five reasons why moringa smashed the other greens to pieces in this year’s (and probably every year) Battle of the Greens. Kale was thrust into the spotlight almost a decade ago and has been the Green Du Joir ever since, and for good reason. 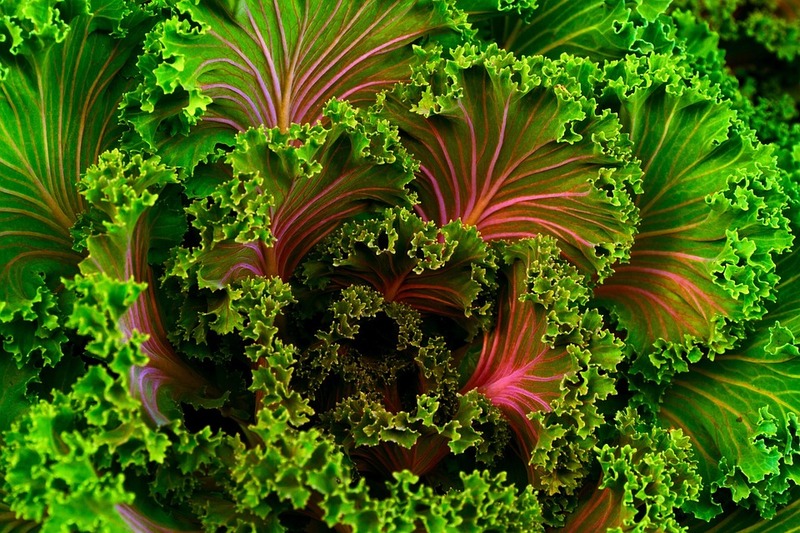 Kale is packed with iron and is an incredible source of antioxidants. It provides a serious dose of fiber and a lot of cancer-fighting properties. Even so, moringa has more. 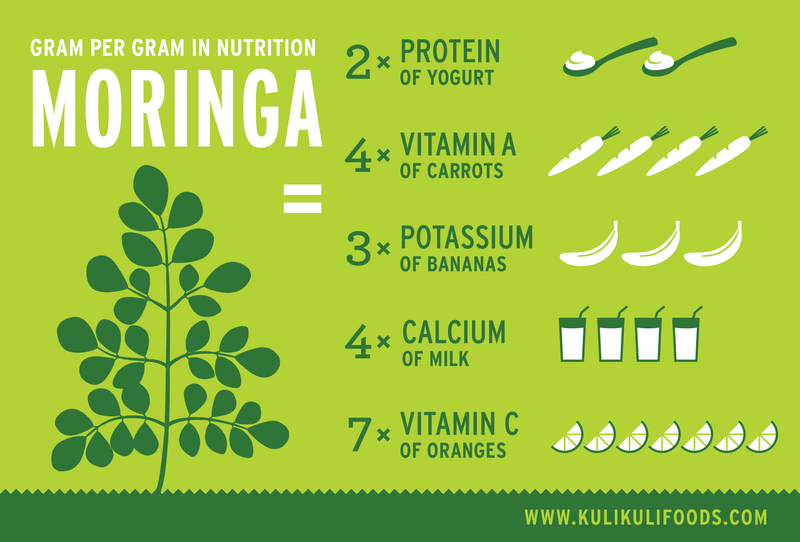 Moringa has twice as much protein than kale and four times as much calcium. It has 6 times more iron and nearly double the fiber. Moringa is also a better source of B vitamins and, let’s face it, is a whole lot more versatile. For a serious breakdown between the two, check out the article we already posted here. For some reason spinach has been known as a great source of iron but the truth is that there is at least one green source of iron that blows spinach out of the water. You guessed it: moringa. In fact, one serving of Kuli Kuli moringa powder will give you half of your daily recommended iron! 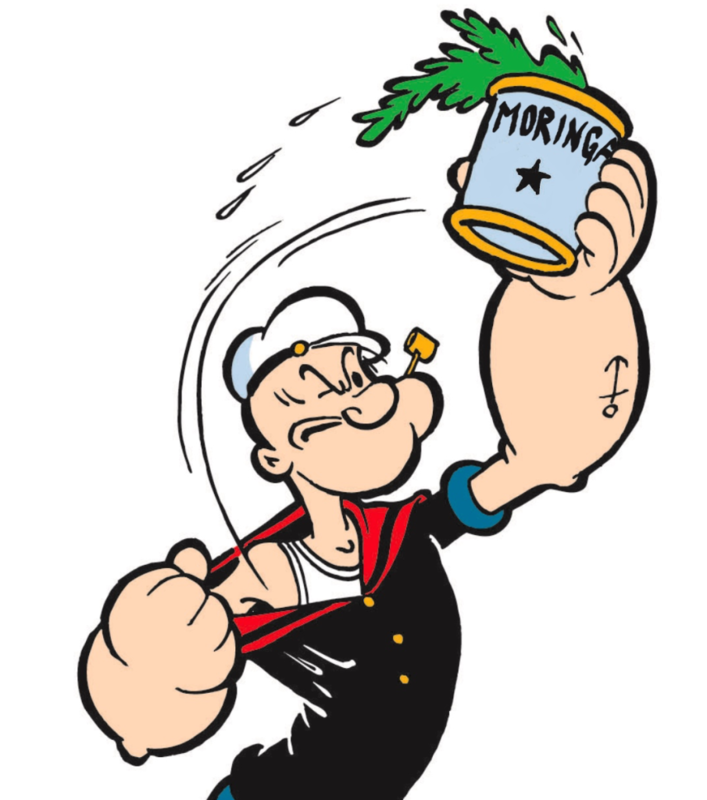 Not only that, moringa has more calcium, protein, B vitamins and vitamin C than spinach, as well. While spinach is certainly a great ingredient for your green smoothies it seems that moringa is always a better choice. For an in depth breakdown of how moringa beats spinach, check out our comparison here. Matcha is a super trendy green tea that offers heaps of benefits. It is best known for its extensive list of antioxidants, all fighting free radicals and preventing cancer. Matcha is best known for its cancer-fighting antioxidant catechin, which truthfully is pretty impressive. Moringa, however, is packed with vitamins A, C and E, which are powerful antioxidants that are abundant in each serving of moringa. – Astaxanthin for beautiful skin as well as a healthy brain. 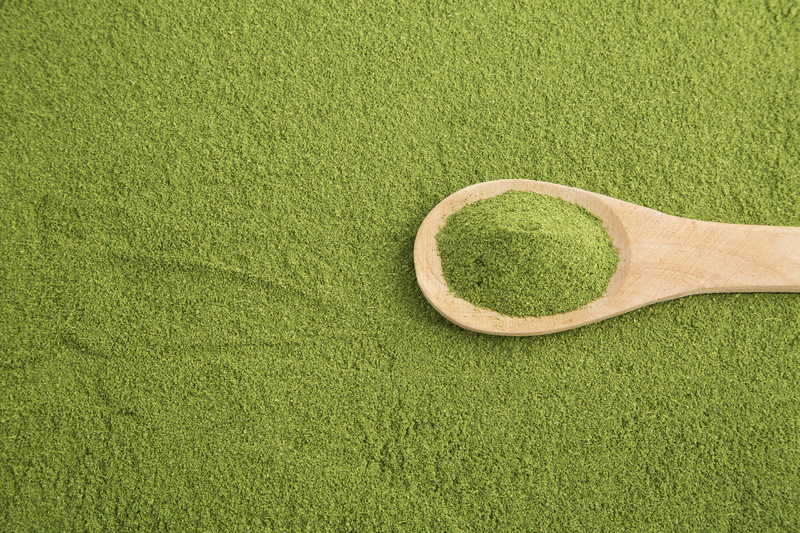 For more information on the antioxidants found in moringa, check out our post here. Moringa is perhaps best known for its anti-inflammatory properties. In fact, you can check out the research on this topic here, here, here and here. You can also read an article we wrote on the topic here. This is not to say that other vegetables do not offer anti-inflammatory benefits, to the contrary. A diet full of fruits and vegetables is naturally an anti-inflammatory diet in and of itself. Moringa, though, offers intense anti-inflammatory properties that are incredibly powerful in treating diseases of inflammation and autoimmune diseases. So powerful, in fact, that money is pouring into research to validate these claims. Don’t you want in on that action? Don’t you want to add a scoop of moringa to your smoothies just for those intense benefits for yourself? Moringa has all 9 essential amino acids in one modest serving, making this green indeed a complete protein.Proteins are made up of amino acids, each of them serving different functions. The unique quality that moringa has to offer, that no other green can offer, is that it has all 9 essential amino acids: valine, lysine, leucine, histidine, isoleucine, methionine, threonine, phenylalanine, and tryptophan. The only other competitor moringa has come across with all of the essential amino acids is wheatgrass, but moringa still had the edge in that battle. – Valine – Helps boost the brain and support the central nervous system. – Lysine – Boosts the immune system and helps speed recovery after illness. – Leucine – Regulates blood sugar and helps fight diabetes. – Histidine – Develops and maintains healthy tissues, particularly of the brain. – Isoleucine – Supports energy metabolism and increases endurance in physical activity. – Methionine – Helps process and eliminate fat, especially through the process of the liver. – Threonine – Helps prevent fat absorption and build strong connective tissue, especially in the heart. – Phenylalanine – Supports brain function and memory. – Tryptophan – Helps stabilize mood; precursor to serotonin, the “happy” hormone. Don’t take my word for it, though; try it for yourself. A diet full of kale, spinach, matcha and whatever the next “it” food may be is certainly a diet worth having. But imagine just how much further you can take your health if you add moringa to your daily routine. Imagine all of the amino acids working to support your brain, tissue and skin so that you are a glowing ray of sunshine in all of your endeavors. Imagine the ease with which you can move through your day as the antioxidants dutifully fight off the free radicals that come your way. Moringa is the clear winner in the Battle of the Greens by a landslide. So what are you waiting for? How can Moringa be so densely packed with protein and vitamins when the label clearly lists per serving amounts that are a mere fraction of the daily recommendation? Yes, one serving of moringa cannot provide all the nutrients one needs in a day, but no food can. That is why it is very important to eat well balanced meals every day. However, when compared to servings of other similar plants such as kale, spinach, and other greens moringa does tend to have a higher nutrient content.